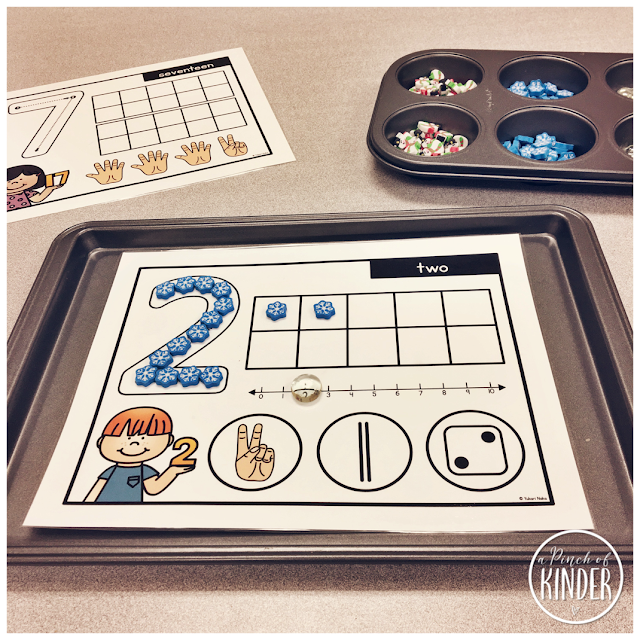 I'm here to share a few activities from our classroom this week! Our kids love play dough but I wanted new play dough mats that were a little bit harder and worked on some of the skills we had been working about recently. So over the winter break I made these play dough mats that go from 1-20. The 1-10 mats have a big numeral, a ten-frame to show the number with manipulatives or play dough, a number line where you can cover the number and some other representations of the number at the bottom to reinforce subitizing skills. Since recognizing and naming feelings is part of the curriculum (SRWB 1.3) and "am" was the sight word for this week, I decided to combine the two into this writing invitation! 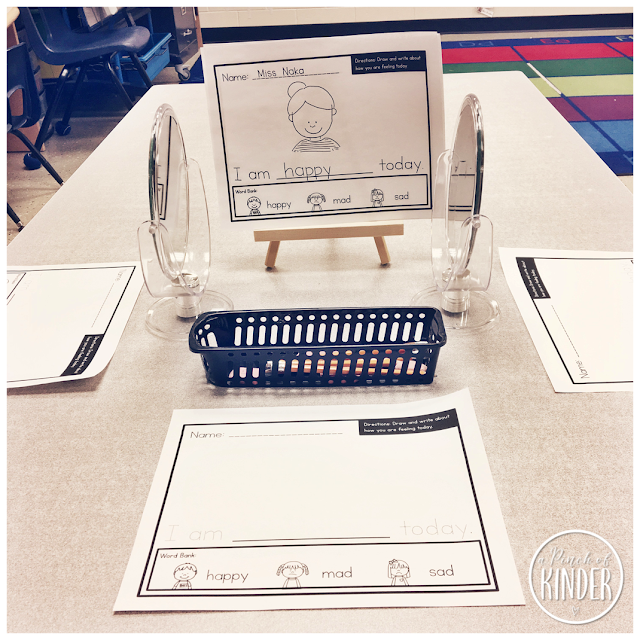 After we learned the sight word "am", we did an example together and then I set the sheets out with mirrors. The students were invited to write about how they were feelings today and draw their face and make their face match the emotion they wrote down. They were invited to look closely at their face using the mirror and add details. This week we also started learning about digraphs! 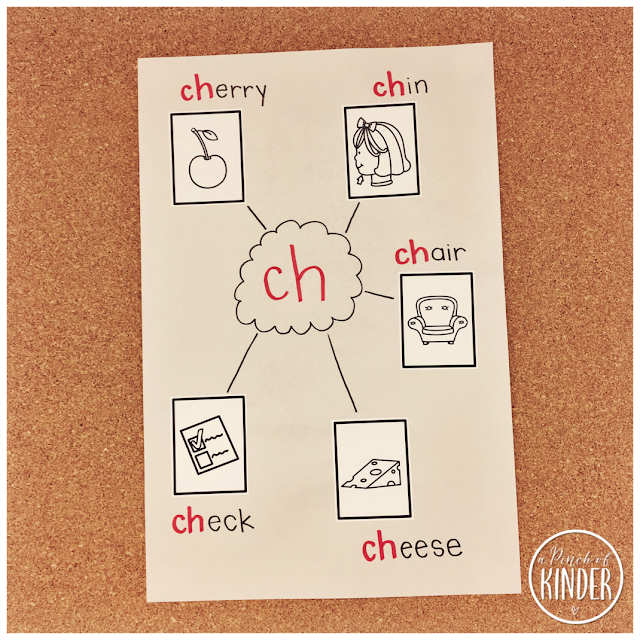 We learned the digraph "ch" and made this anchor chart together to reinforce the sound it makes. Then I set out these digraph booklets for the kids to practice the new sound at centre time. 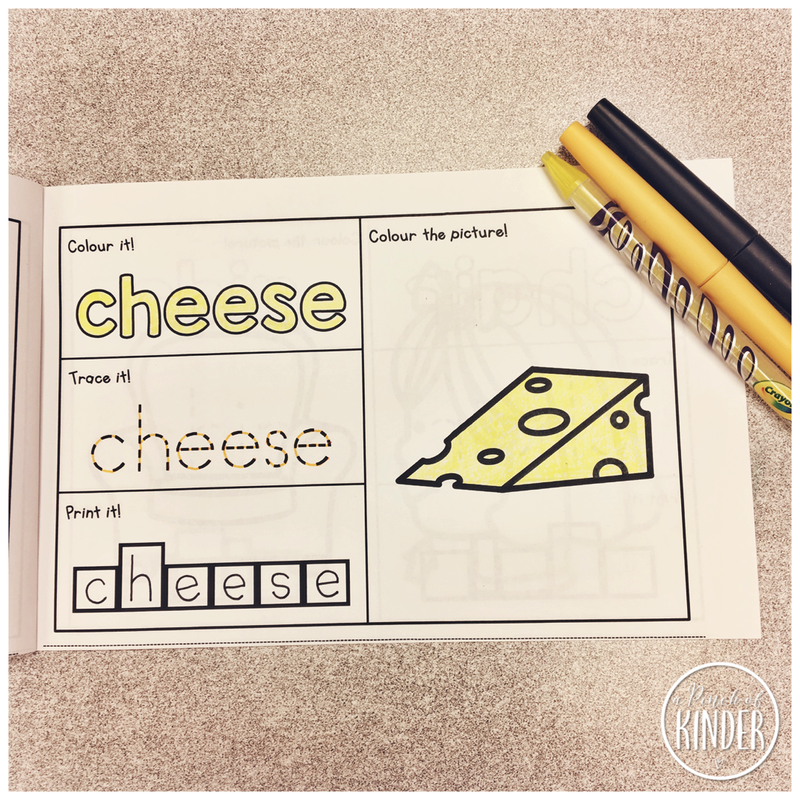 The kids colour the word, trace the word, print the word and then colour the picture. 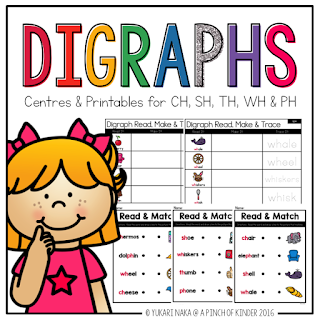 You can grab these digraph booklets and lots of other digraph activities in the my digraphs pack on TPT. You can click here or click on the image below if you are interested in checking it out! 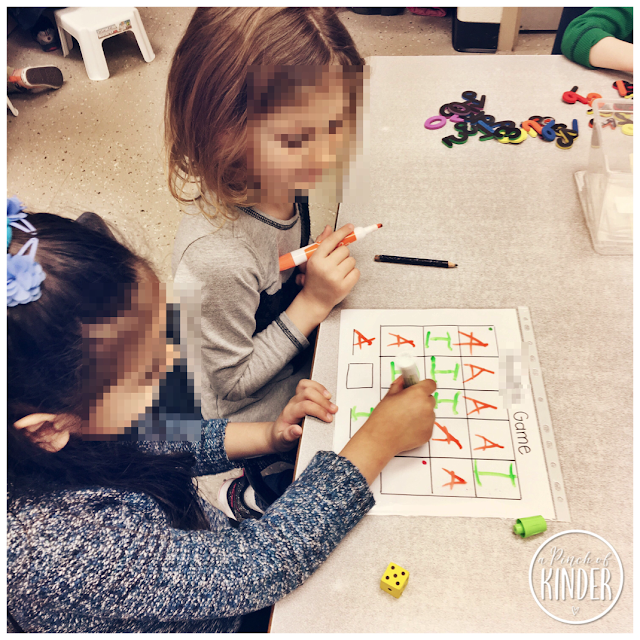 We always have lots of number sense, shape, patterning and sorting activities out for the kids to explore but I find that we were not providing them with enough measurement opportunities. So one day I set out this measurement provocation. It's super simple. I just put 3 types of math manipulatives out (and different sized bears to see who would notice and use only one size when measuring) and picked a few items from around the classroom for the kids to measure. 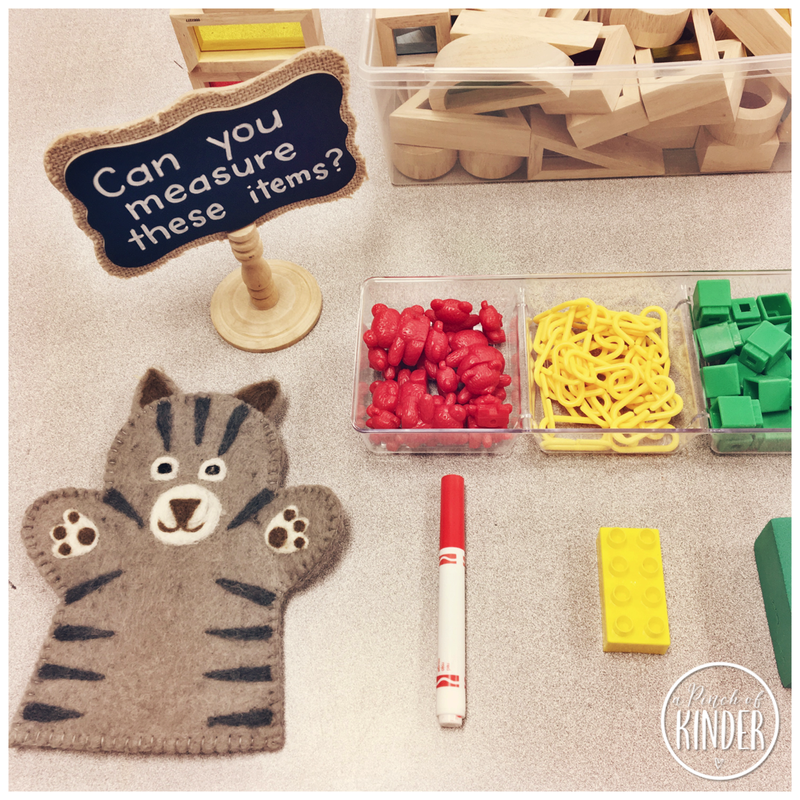 Then after the first few days I started to allow some of the kids to choose items from around the classroom and set-up this provocation for me. So far they have been doing a great job with this! 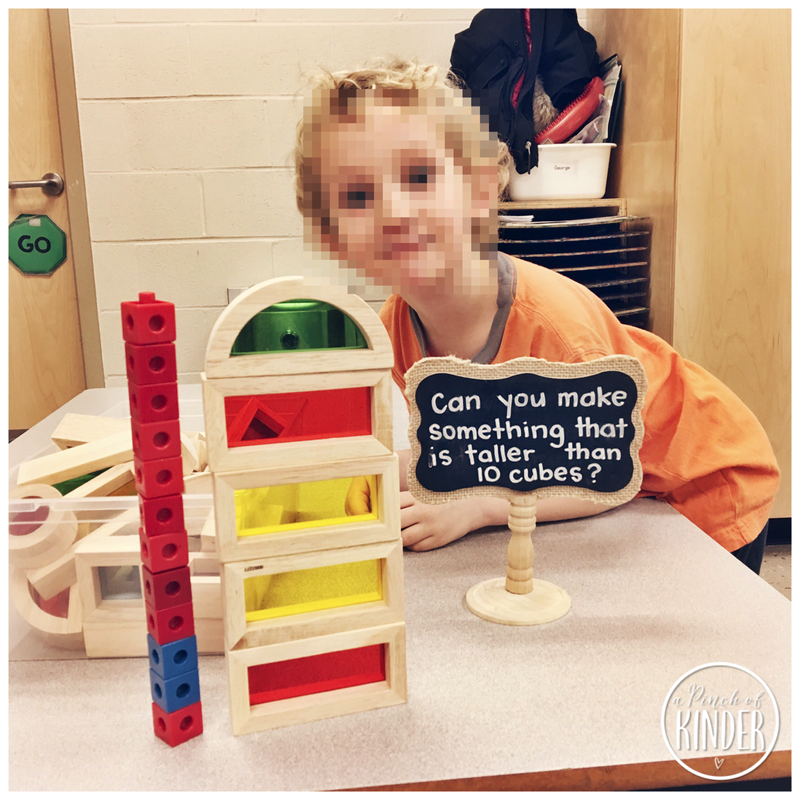 Here's another way we have incorporated more measurement into our math-based centre block. We recently got these pretty translucent blocks so before I add them to our building area I made this centre with just the translucent blocks and some snap cubes. Then I added the prompt "can you make something that is taller than 10 cubes?" Here is one of our kiddos doing an amazing job with this challenge! 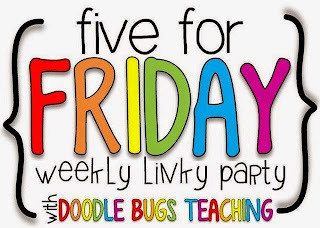 Click on the image below to read more Five for Fridays by other teacher bloggers! Taking a break from report card writing to share some activities from our classroom from this week! 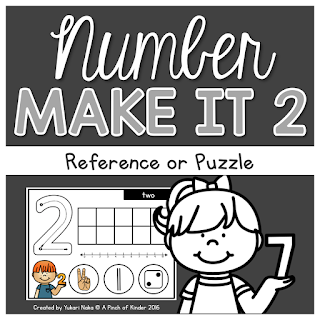 I hope you can find one to try in your classroom! I saw this idea originally on Instagram (posted by @invitation_to_play, she is great and you should follow her if you do not already!) and knew I had to try it out! 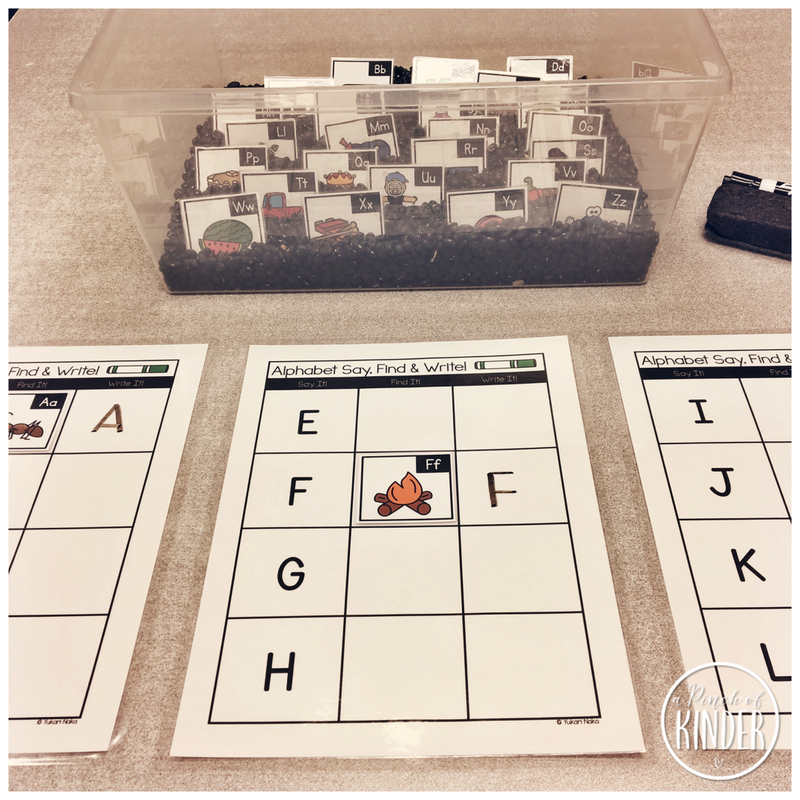 I am always looking for fun ways for the kids to practice their sight words. I just put the magnetic letters in black beans and wrote the sight words on cardstock! It's a little bit hard to tell in the photo, but epsom salt looks like snow (well, more than regular salt!) My teammate shared this with me and I picked some peppermint scented epsom salt up at the Dollar Tree while I was there last weekend. You can find it in the beauty aisle! I put the epsom salt in a wooden tray and set-it out with a paper straw I had handy (they are from Michaels and you might still be able to find them in the clearance section!) 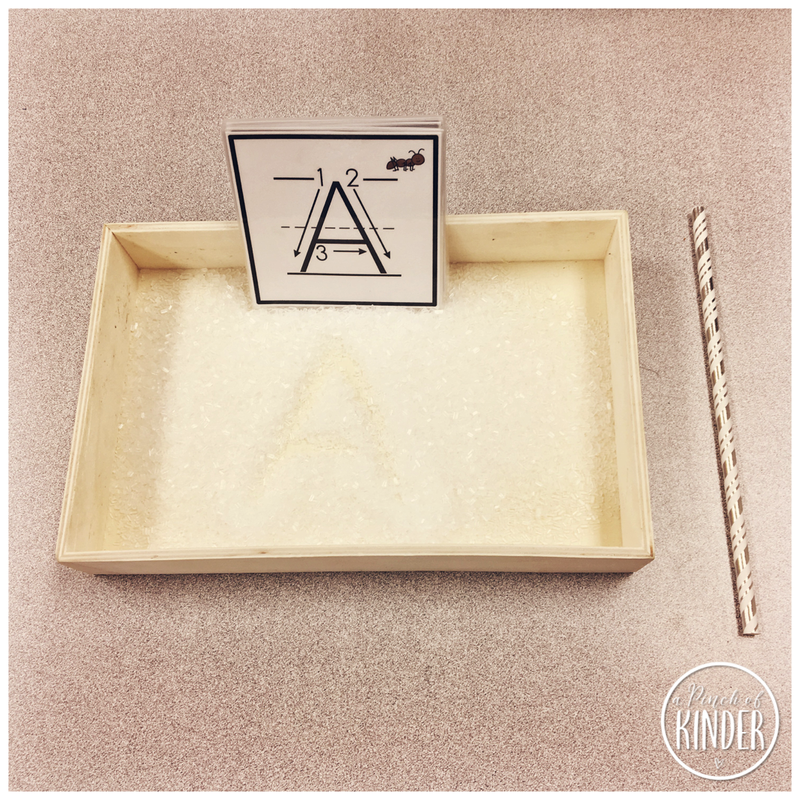 I also made some new alphabet cards that have the formation steps on them to guide the students when they are practicing writing the letters in the salt. 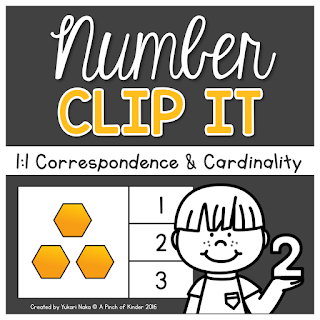 You can grab these cards (they come in both uppercase and lowercase letters) in my TPT store by clicking here. Here's another idea I got from my awesome teaching partner next door. It's so simple too and the kids love it! I set out some plastic numbers and pattern blocks for the kids to use as a reference. 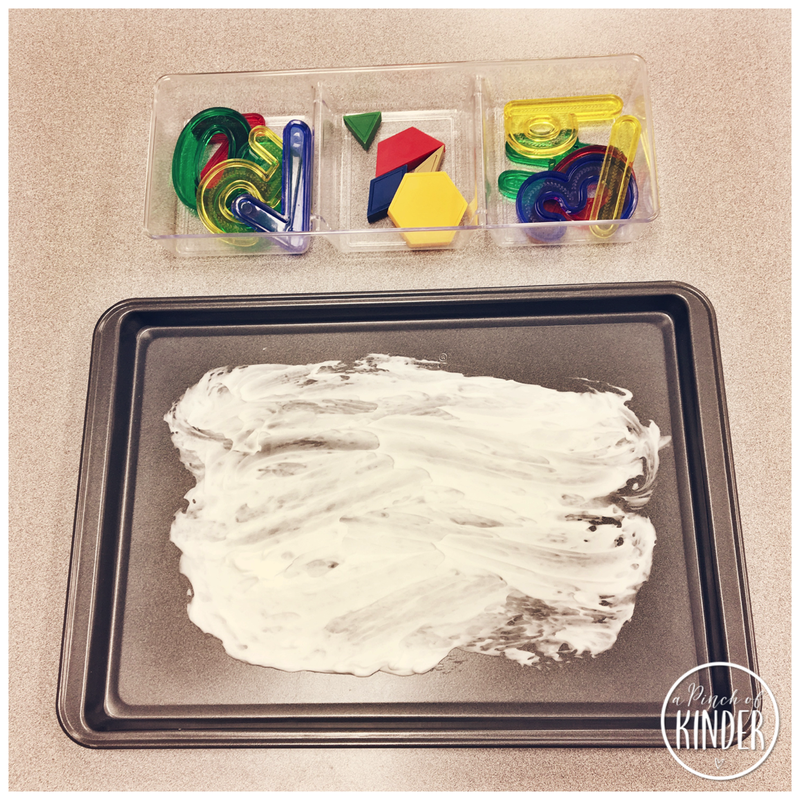 They were great manipulatives for the centre because you could easily rinse the shaving cream off at the end of the day! I love these plastic numbers! I got them in a goodie bag at a math conference but I can't remember who makes them or what they are called. I would love to get the alphabet version if they make them! If anybody knows who makes them or what they are called could you leave me a comment and let me know? 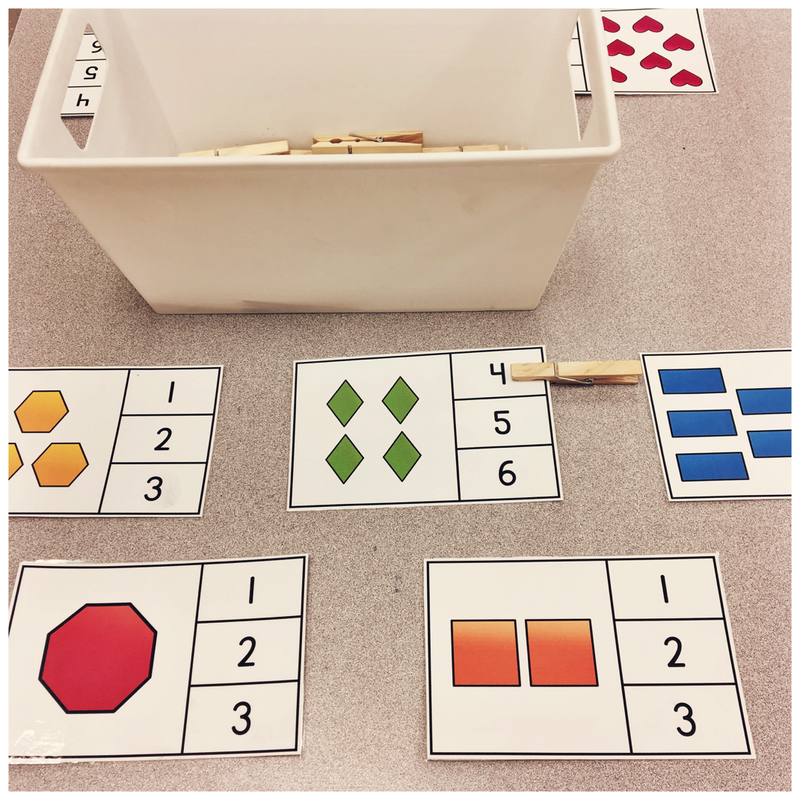 I created these because I wanted an activity to use with one of my guided math groups where I could assess their shape identification, number identification and one to one correspondence at the same time. After I practiced/assessed the group I was targeting I just turned it into a numeracy station that anyone could visit! Our students voted to turn our dramatic play area into Jurassic World, so I decided to put some dinosaur provocations out to see if it would spark some questions and wonderings. 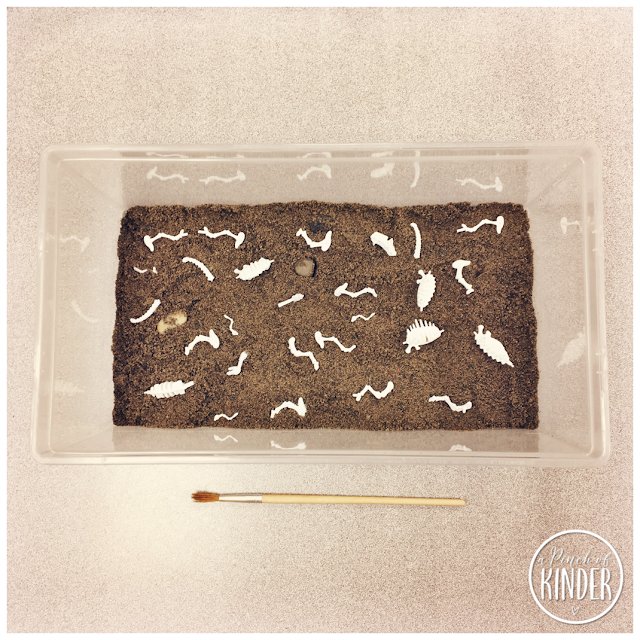 Here, I put out some dinosaur bone puzzles and a paintbrush in sand. We watched this video on palaeontologists and then the kids practiced being palaeontologists as well by digging for dinosaur bones, putting them together and trying to identify which dinosaur it may have been. I also set out this play dough invitation. The students were invited to create play dough dinosaurs or make a dinosaur habitat. We also encouraged them to create dinosaur stories. This one was a huge hit! However, we don't seem to have many wonderings emerging about dinosaurs. Sometimes that's just the way it goes! So this weekend I'll be thinking about some new provocations I might set out to expose them to spark some wonderings! 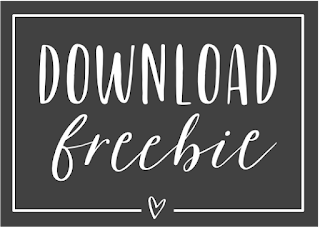 I'm back for a quick recap blog post of the week and to share some random freebies. I saw this idea on Instagram (but now I can't remember who posted it.. if it was you, let me know so I can give you credit!) 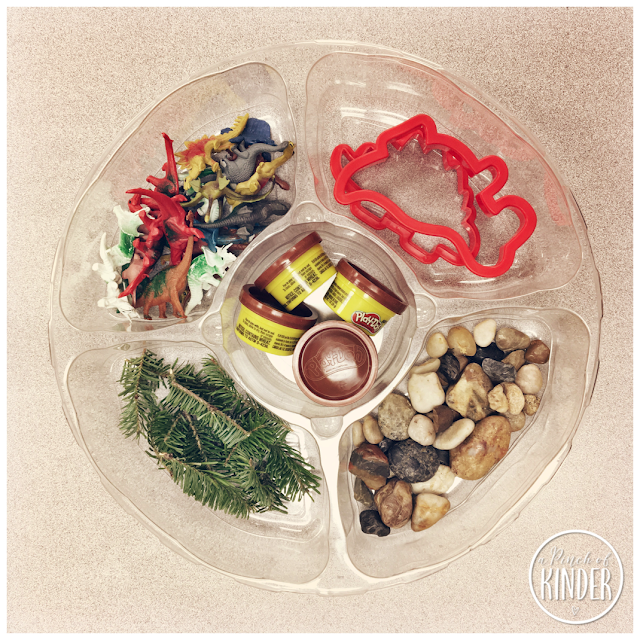 and it was just tricky enough to be good fine motor practice for the kids. I wrote all uppercase letters, all lowercase letters and 26 snowman faces on white pony beads with thin-tip sharpies. 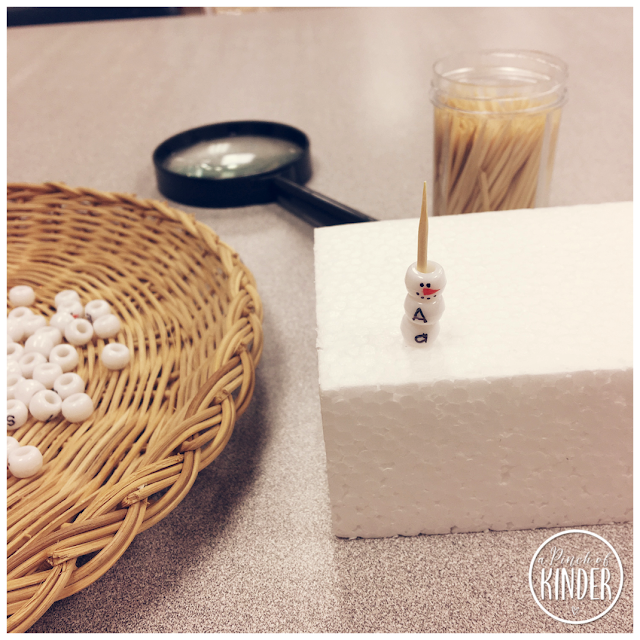 Then I stuck 26 toothpicks on styrofoam blocks. 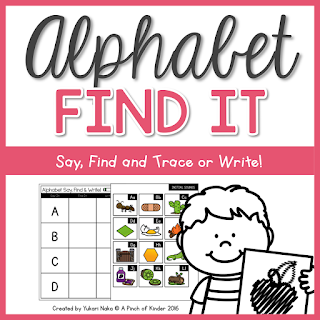 I had the kids find all the lowercase letters first, then find the matching uppercase letters and then add the head. More than ever, the kids in our class this year love dry-erase centre! We always have whiteboards out at this centre so they can draw/write whatever they want but I also add in some skills that I want them to work on as well. We have been working on this more simple alphabet books but I felt like some students were ready for more. So I had this new one ready to go for the first week back! If you want to try this book with your kiddos, you can find it here. Here's another centre I made over the holidays and had ready to go for Monday. 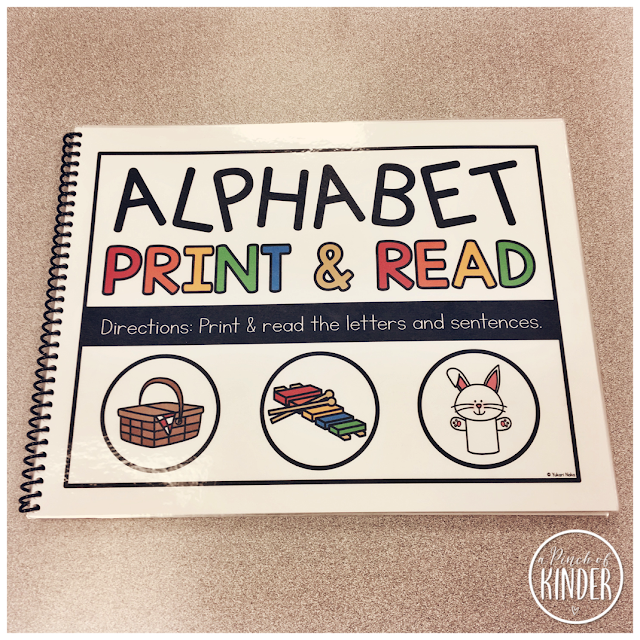 I'm always looking for ways to make letter identification/formation fun & hands-on so here's what I came up with! I cut up the letter cards and put them in a bin with black beans. Then I put the mats on the table with dry erase markers. 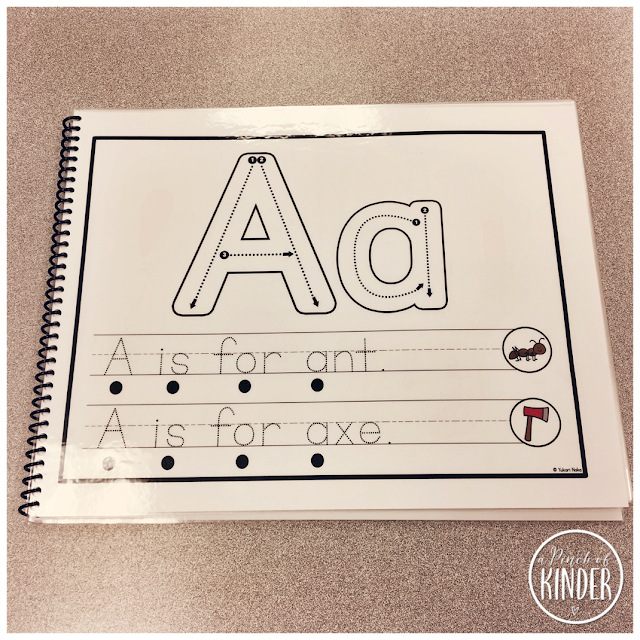 I had the students read a letter, find the matching card and then write the corresponding letter on the right hand sight. There is a tracing version too if that would work better for your group. 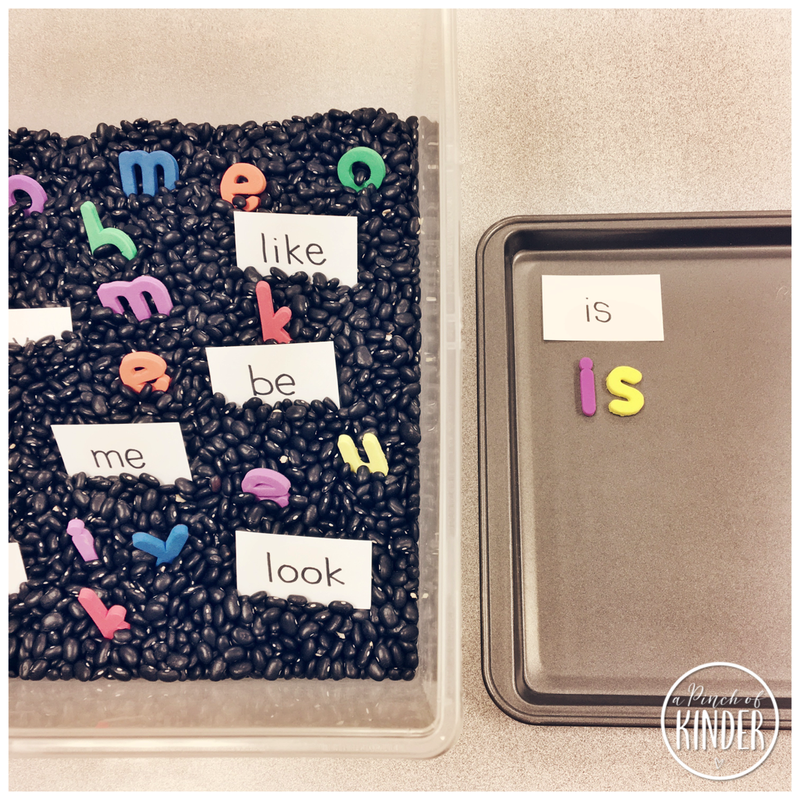 You can also put in more tactile letter manipulatives like wooden letters or magnetic letters if you have them! Since I wasn't sure what would be the interest after winter break, I set out this arctic animal provocation to see if any wondering about arctic animals would emerge. 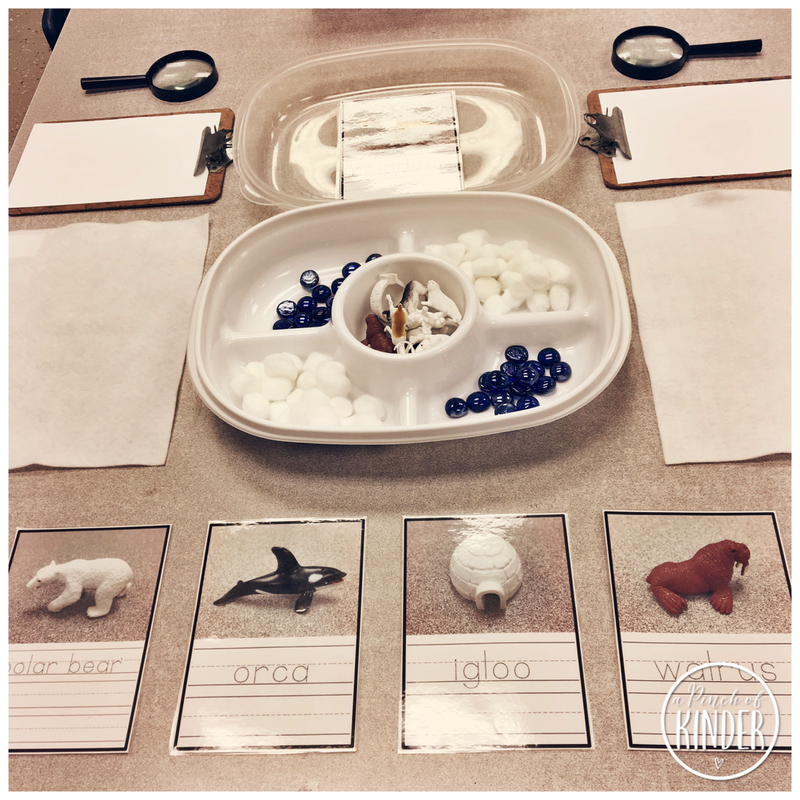 Although the students don't seem to be overly interested in the arctic animals they still had fun creating a habitat for the animals on the white felt using cotton balls (snow) and blue flat marbles (water), recording what they see on the paper and matching the animals/igloo to the dry-erase cards and of course practicing writing the names of the animals on the dry-erase cards! I think I will keep this out for one or two more days and then try a new provocation to see if that sparks more interest! I got the mini animals/igloo's at Michaels. It is called the Arctic TOOB by Safari Ltd. 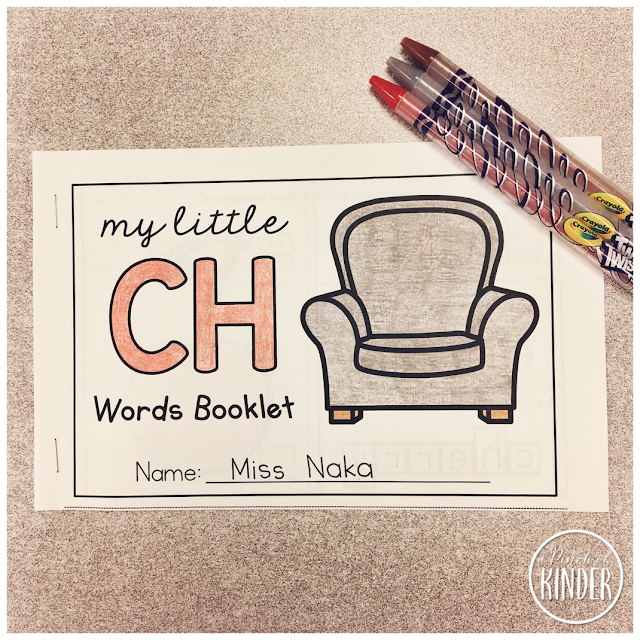 If you want the wipe erase cards to go with the toob that you see above scroll to the bottom to download it in the big freebie file at the bottom! "A" drew a grid on a whiteboard earlier this week and brought it to me, telling me that she had an idea for a math game. She explained her idea and I asked her some questions so she could clarify her thinking. Her idea was that you would write the first letter of you name in the box and whoever had the most letters at the end would be the winner. I asked her how we would decide how many letters you get each time and she decided that you would use a dice. Then I asked her how we would decide who would go first and she said you roll the dice and whoever got the bigger number goes first! We practiced the game once on the whiteboard but decided that the whiteboard wasn't very efficient since we would have to redraw the grid each time. So we created a more permanent game board with paper and a sheet protector (what you see above). The next day we taught the other kids how to play! Then we made a list of all the kids who wanted to play A's game and A called the kids to play during centre time one at a time. She did a great job teaching the kids and they were all so engaged! 7. The person who has the bigger number is the winner! I have a bunch of things I have been creating and using but haven't had the time to photograph. So here is a bunch of things I hope you might be able to use in your classroom! 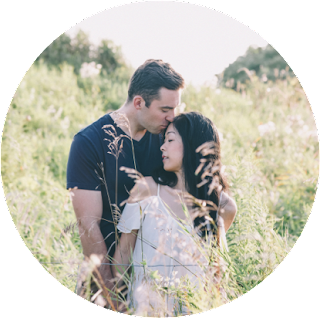 I'm linking up with Kacey for her Five for Friday link-up.